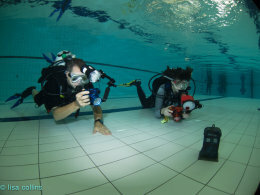 INON UK, Frogfish and Divelife had a very good event yesterday in Manchester. 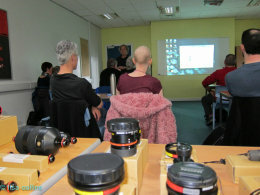 Presentations we given on Underwater Photography in UK Waters by Nick Robertson-Brown, Photo Editing by Lisa Collins and Fish Photography by Steve Warren. 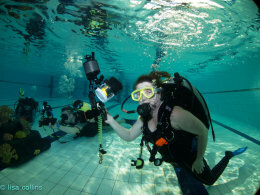 In pool sessions to try out kit, including strobes and shoots, were fun and informative, utilising the fantastic artificial reef supplied by Frogfish. Many thanks to all those whom attended the event, and all those involved in the organisation.